I saw an example of someone apologizing today, and it released the other person. It took the blow of it away. It was not toward me, but it is someone I do love, and I saw how that person, struggled, because of the offense. I could relate. But after a day, the other person apologized, and released this person I love. That did my heart good. So good I am writing about it. I do, admire when someone apologizes. It takes courage, it takes truth, a humbleness, an ability to throw away pride, and say, I am sorry. I made a mistake. I was wrong, please accept my apology. It seems like many do not know how to do that, any more. It seems like pride, takes over often. And to admit ones fault, they think is beneath them. Or makes them look inferior. But not to God, He sees….And He will judge. So many times, its not that one might not even have the right, to be offended, with someone, but its the way, they handle it. With either, grace or accusations, or even jealousy. Thats the wrong approach. Getting into someones business. Pride, is such an ugly spirit, that holds one back from apologizing, and it hurts us. It really does. I do have a forgiving spirit, I guess, because I longed for it so much, growing up, but grace was not extended to me. And I know when people are gracious to me, or giving me the silent treatment. It does tick me off, because I don’t react like that. To others. So I am mindful, that pride is not seen, by God or others. I learned early to be accountable, and not make excuses. I have learned, Christ taught us to forgive. But it also goes hand in hand, with this thing in being apologetic, and accountable. Yet, when grace is not extended to me, I do get put off, by people, who cannot even humble themselves, to be accountable, and say. “You know what I made a mistake.” They don’t make excuses, they just say I am sorry, and then go from there. They don’t throw other issues in the air, they admit their wrong doing, and stick with the issue. Being mature, being humble, to say, I am sorry, I am sure, is beautiful in the sight of the Lord. Stand your ground, when you are offended, but extend grace if someone really is sincere. But yes, I do need to reflect in this, forgive. You see, being unforgiving, is a poison. And you don’t want that in your soul. So forgive even if you don’t get an apology. I really do respect it, and love seeing it. If someone apologizes. That tells me, they want to grow. They want to please God, and they realize, they had no room themselves, to act like they did. But to each their own. I have learned, you cannot make someone do something like this, unless they really see the error of it. Sad thing is, because one never knows…. I would rather, apologize, and repent to God now, before its too late, before chances go by, before even leaving this earth. See we know when we are wrong or right, and if pride is telling us we are right when we are wrong. Its called a a “conscience” and if you don’t get that red flag, you may be far out. And you may need to do some major repenting. Because you are hearing the wrong voice. Thats not Christ. Something to think about, “Just My Thoughts,” today…. Its all about praising God, and in relation to scripture, I write my thoughts on the matter. You can go to this address, just copy and paste to your browser. Or click the link. Sign up for this blog, and that one, and there are others. I have been having some technical problems, with some of my links. But plz check it out. To some, I am harsh, I am hardlined, I am not flexible. Well…I won’t compromise Gods truth, His holy word. I know what compromise has done in the past, and I walked a path, that was not the way of Christ, the truth. I am to some narrow minded. But that is a compliment to me. 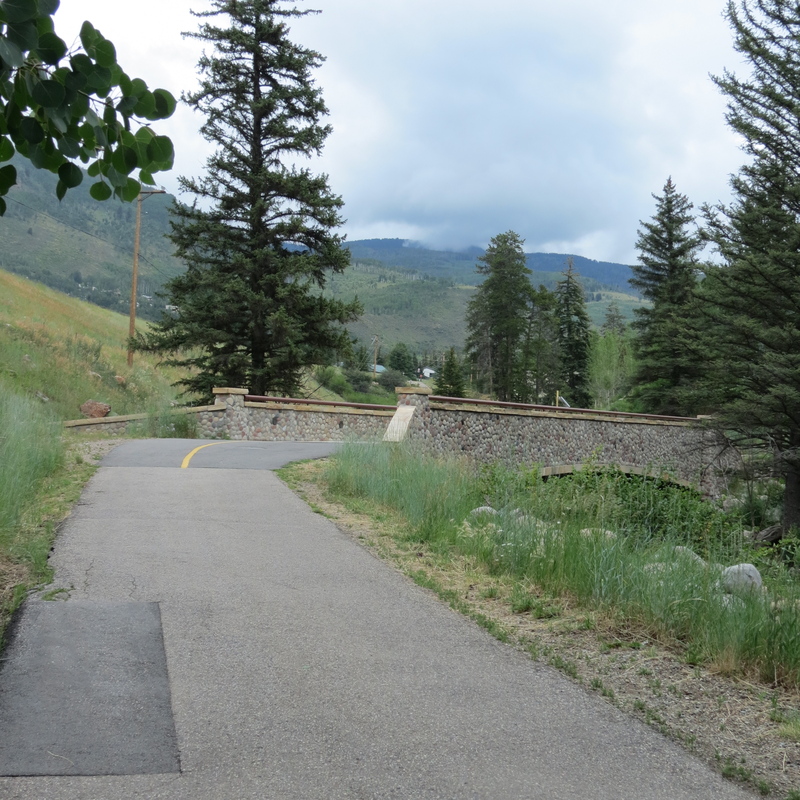 You see the path the way, is a narrow way. Its not found in the ways of the world. BECAUSE STRAIGHT IS THE GATE, AND NARROW IS THE WAY, WHICH LEADETH UNTO LIFE, AND FEW THERE BE THAT FIND IT. MATTHEW 7:14. My salvation is not in just having a thought that grace will carry me alone, and that would give me permission to sin. How shabby, how insulting that is to what Christ did on that cross for all of us. No, I won’t treat my salvation, like its no big deal. I work it out with fear and trembling. I don’t trust anybody but what God says, truth of the matter. Because the Holy Spirit is my teacher. And when I am wrong, I repent. And believe me, I have been wrong. But I am not wrong, when I say I have fear of God. Because God does not let me get away with anything. Not at all. And I am grateful for that. That I heed His correction, that I know what the consequences of sin is. And that scares me. So no I am grateful for His promptings, His correction. His love. I am a nice person. But even nice people can get to the point that they don’t care. And I don’t, there is something free about that. None of you know my life, what I have gone through, none of you know what God has taught me. But I will not let go of that old rugged cross, and I will with all my being, try, yes at least try to give Him glory, and obedience. But it all begins even by the bible I use. I use a King James bible. For holiness, and truth. And the anointing. That has not been corrupted by mans hands. I don’t want to be a flaky Christian, with no true substance. I know, how valuable my salvation is in Christ. So, I don’t care, what people think. They don’t live my life, and they don’t live my pain, or my sorrow, or what I have gone through. So think what you want. I don’t care. My hope is in Christ, and Christ alone. Christ is going to return. My goodness, do we not see prophecy being shown in front of our eyes? Are we still going to play church? Play religion, mans rules, traditions, and regulations, that think its right. We better think again, all of us, if we really want to make it to Gods Kingdom. We better think what does God think? Oh don’t mistake His silence, for nothing. He is not mocked, and we reap what we sow. So what people think about me at this point, does not matter. LOOKING FOR THAT BLESSED HOPE, AND THE GLORIOUS APPEARING OF THE GREAT GOD AND OUR SAVIOUR JESUS CHRIST. TITUS 2:13. WHATS WRONG WITH BEING OLD-FASHIONED? Being old fashioned….what does that mean? I am old enough, to see how technology, has evolved. But what about morals, and values, and integrity? Where do we learn these important attributes, that help us to be better people? 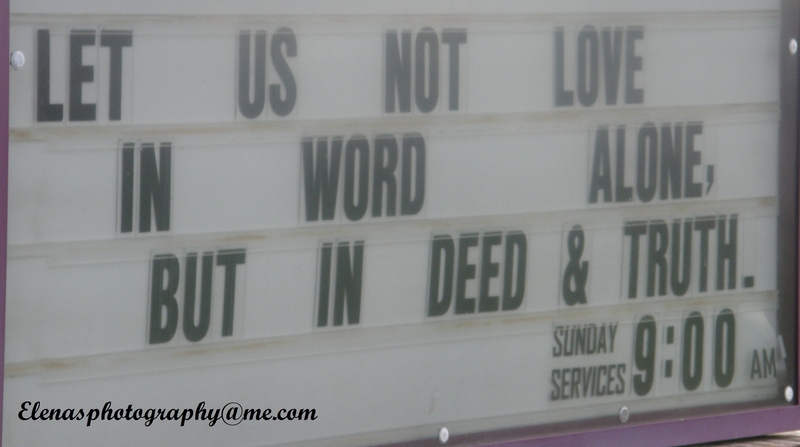 Or more important, the people, God intended us to be? This should never go out of style…. I have a heart for all people. For all of us, to find Christ. But who is going to tell our young people? Who is going to be an example? To even say….Whats wrong with being old fashioned? Maybe I am behind the times, in a lot of ways. Concerning the fads, the way, people dress, language, maybe even technology. Though, I do appreciate progress. But, I am talking about, the “old ways” of doing something. Signs of being old fashioned, to me; Being modest, in dress. Not showing everything. Being courteous, in language. Not vulgar, and cussing in these times. Respecting yourself, and others. Holding a door for someone, being kind…..These are just some characteristics of being old fashioned. Being more specifically, “old fashioned” in the sense, that I choose Gods ways. The Bible tells us, choose the “old path.” I want to choose Gods ways, and not throwing His truths out the window, for the sake of the times, or even religion. Hmmm. Thus saith the Lord, Stand ye in the ways, and see, and ask, for the old paths, where is the good way, and walk therein, and ye shall find rest for your souls. But they said, We will not walk therein. Jeremiah 6:16. Are you one of those people, who has been “programmed”, with society, to deny God? Or to even deny your faith? Afraid, ashamed, to be a Christian? I use that word, programmed, because there is a movement, to deny God. There are people, who are so focused, and used by the devil, to eliminate God, from being mentioned, acknowledged, and thought upon……Truly, these are people sadly, who are used by the devil. Because it does not fit with the norm of society? Because it is the agenda of the devil…. Dear one, I just want to tell you, and in love. This is wrong. To deny God, or His ways, because of what society dictates. Because the world, does not want to acknowledge God, or His truth. Or, even worse, are you someone in ministry, who has thrown Gods truth out the window, to please people? Downplaying, the word of God? Even denying the truth about heaven or hell? Because you are afraid to scare the young, or anyone. Afraid, to give the message, about hell and brimstone? It better be told, we need to tell people, the truth, we cannot compromise Gods truth. Choosing methods, that take away the truth of who God is, to accommodate the people? Choosing music in your services, because it is more modern? But it really does not bring Gods presence into a service. Dead spiritually? Are you afraid to offend? Afraid truth has to be sugar coated? Well, I believe in love, but sometimes, you just have to be blunt. You have to speak it and say it, or they can miss it, for even eternity. And here is a thought, but what Bible do you use? Yes, there are many Bibles, that many ministries use, but have you ever thought, about the purity of the word? That perhaps, God may want you to use, the authorized Bible, in the English language, and that being the King James Bible? Knowing, as I do, that other versions, have been tampered by men, I take, into consideration, that Revelation 22:18-19, tells us not to add or take away from the word. That, when one does use another Bible, it has been changed. Would not God, want you to choose perhaps the “old path” in this? I guess, I am old-fashioned, to believe in miracles. I am old fashioned enough, to believe, that even though, the wording to some may be archaic, that, God by His Holy Spirit, could teach me. He could reveal the meaning. But, people want to find the modern way, the easy way…..hmmm. But is it the right path, God is establishing? Or do you refuse, this path, like it states in the above scripture of Jeremiah 6:16? Being old fashioned…..is needed. We cannot do ourselves, and others this disservice. Truth is truth. It does not change. God does not change. He says, He is God, He changes not. Malachi 3:6 For I am the Lord, I change not; Malachi 3:7…..Return unto me, and I will return unto you saith the Lord of Hosts. Wherein shall we return? We need to return to God. Our nation, our world, needs to return to God. To, try to live a holy life, because God does call us to be holy. Yes, I am old fashioned. I uphold, the Ten Commandments. I uphold, Gods word, to be truth. I do not question it, challenge it, or doubt it. I believe in God, and His word. It is my manual to life. I have learned….from my own experiences. And the word, of God, that gives countless, examples of what to do, and how to do it, by the fruit, the Bible characters, God has chosen in His word, to give as an example. To know the difference. You see, I was not always old fashioned. As I was growing up, I embraced things, the times of my generation. Getting high, carrying on, doing my thing, living, and let live, was my motto. I was very naive. I made a lot of mistakes, in my life. Things, I regret even today. Even though, I know now, I am forgiven. Even though, I know, God can restore. I regret. Thats just the way it is. Society does not do this. They hide truth. They have no moral compass, because they have taken His truth, out of our schools, out of our public places. So as for me and my house, we will serve the Lord. And I love God, for His goodness, and joy, but it comes, with obedience. How I pray, America, and the world, would get bold for the things of God, the “old fashioned” things of God, that make the changes, we need. Sadly, I do see, people being programmed, by the devil, because they do not acknowledge God. There is something to be said, about Gods ways. Fearing God. Knowing, at the end of our lifetime, we will stand before Him. Every knee will bow, every tongue confess, that Jesus is Lord. Dear one, I just want to encourage you. Change your ways. Because Christ is the way, the truth and life. Let Him change you from the inside. As you choose the old fashioned ways. As you choose Christ, you will find truth, you will find life abundantly, because He will bless you, and change your circumstances. Old fashioned? This is not about being religious, or judgmental, about the way, someone dresses, the make up they wear, etc. But it is about, wanting to present yourself, to God, without spot. Its about, the example we give, to others. No we are not people pleasers, in that sense. But how are they going to see our fruit, if we deny the old ways? So we must, find balance in this. We must be opened to Gods old ways, never compromising Him. Yet knowing, we do have to live in this new world, of technology, and sin. Yes, we are in this world, but we do not have to be a part of it. With its sin, and denial of God. Even working in a place, where maybe, I would not make a lot of money, but it would be respectable. I would rather be old fashioned in God…. Yes, there is something to be said, to picking the old ways, the ways of God. It gives life. Because He is life. He is love. Theres nothing wrong with being old fashioned? If it is based on Gods ways.. Yes, I am choosing to be old fashioned….Blessings, with love, in Christ. 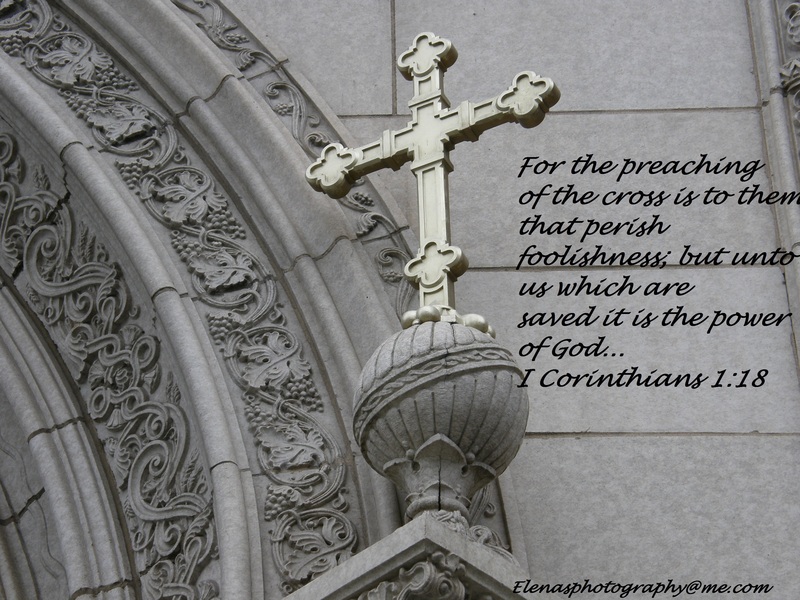 The preaching of the cross, is foolishness to them that perish. But to those of us who have been saved, we know it is by the power of God. Many intellectual, scientific, people, do not believe, in the cross. They do not believe in God. So they become atheists, or agnostic. God wants us to believe, before we see. The world wants to see, before they believe. The cross, is within each one of us, if we search. Sometimes, it takes time, to realize who you really are. What your potential is. And if you choose, you can be a product of your environment, if you choose to be. Or you can see, the plan of God, and know, your circumstances can change. To something totally, beyond comprehension. In the natural. By being in the supernatural. With God. You see, it is always a choice. And I pray, by what I write here, as I express, your DNA is from God, that you will see this. That maybe you will even change your mind, and really see who you are….To make a different choice…. Perhaps, you have never thought, yourself worthy, of being a part of God. Maybe you never believed in God. But just because you do not believe, God still created you in his image. You are a part of him, in more ways, then you know. Genesis 2:27-28 So God created man in His own image, in the image of God created He him; male and female created He them. And God said unto them, Be fruitful, and multiply, and replenish the earth, and subdue it; and have dominion over the fish of the sea, and over the fowl of the air, and over every living thing that moveth upon the earth. If you do not reads Gods word, though, you would not know this. And more so, if you have not accepted Christ, as your Lord, and savior. My goal in this, is to awaken you to the possibilities, that all things are possible with God. Matthew 19:26 But Jesus beheld them, and said, unto them, With men this is impossible; but with God all things are possible. And because all things are possible to God, they are also possible for you. Because you are his child. Because He loves you. Because he cares for you. So much so, God is also jealous for you. He does not want you to go in a direction, that would cause his plan to fail. His plan would not fail. But your failure, to recognize, that he has a plan for you, would cause you to fail. To unbelievers though, this is not a possibility. So many in our world, are just grasping, at life. Walking wounded. Trying to get a long, trying to survive. But why? When you could do so much more, you can thrive! God has set it up, so the mystery of it, would compel us to seek him. And I have, I guess, thats why I can write this. Because I grew up, thinking I was a nothing. I grew up misguided, lost, and broken. But….When I finally woke up, opened my Bible, and began searching for the true, and living God. I realized, I was his child. I realized, my blessings, and all that I am is because I am a child of the most high God. I am royalty. And to some, that may sound so strange. But I know who I am. Not to be boastful, or arrogant, but to know…..So that made me think, if I am a child of God, I can claim his word. I can have the promises of God, from his word. You see yourself, so differently, when you get on the side of God. It is a process, it is a daily exchange, of giving yourself up to him. Submitting to God. Resisting the devil, and he will flee. Knowing God brings blessings, when you begin knowing, who you are in him. Because of Jesus Christ. Jesus Christ, the son of God, was sent, for you and for me. He came to destroy the works of the devil. He became the curse for us, so that we would not inherit the curses that came from Adam and Eve. Yes, he created them too. But when they sinned, we inherited, their curse. Jesus Christ came to take that curse away. When you accept Jesus Christ as your Lord, and savior. You become a part of the family. The family of God. The blood, that now flows in you, is holy. So that truly your DNA is from God. What are you going to do with this knowledge? Because if you do nothing, you will obtain nothing. But if you begin searching for God, in His word, in prayer, in living a life worthy….Well the possibilities are endless. And you will truly see, that your DNA is from God. And you can do all things, through Christ who strengthens you. Isn’t it time, that you really see who you are, and who you can be? No longer struggling, with demons inside. Sadness, even poverty. That is not who you can be. But you have to take the word of God, any word, he has here, for you, and claim it. Claim it in love. Not for evil, not for selfishness, but to grow. To show others Christ as well. God will bless you, to bring others to his throne. To help other needs. But grow first to know who you are. You are, after all, created in Gods image, and there are things, you are just dreaming about. But they can become a reality. They can be possible. By accepting Christ, as your Lord and savior, getting into the word, and truly applying it, will bring those possibilities to be. Below is a link, that has the prayer of Salvation, to begin this process. Your DNA is from God….What are you going to do with it? I just ministered to you, for you to see the potential, that you are a child of God. But listen, to this pastor as well. He has proof, that shows God had a plan, scientifically as well. Look at this, and know. You are a child of God. Your DNA is from God…..
Never forget who you are, and the possibilities, because of Christ. Never forget! If you do not see, this, you may really never know who you are. I implore you, as I provide this, to view this video. Or continue on your journey through, life never knowing. Again, it is a choice. You are a child of God. This will just prove it…..To my intellectual, and scientific friends, who need more, then just faith…..This will begin faith for you. IS YOUR HEART A HEART OF STONE? Is your heart, a heart of stone? Do you see it in a place, where other hearts, you interface with, are as cold as well? Is it getting indifferent, insensitive? And you are numb, desensitized. To life. You know its not right, and you see that your heart, is not sensitive, to others, and to God, and to the beauty of life. You have been hurt perhaps, and now, in order to protect yourself, you have chose to harden your heart. You think it protects you. You keep your emotions in tact, and you close your thoughts, and heart, to the possibilities, where beauty, and love, and even loyalty, could exist. Within you. Yes, your heart is cold, it is angry, it is a heart, that does not believe. It has shut out God completely. Your heart is so cold, it at any moment, it could crack, and shatter, into thousands of pieces. Like this photo. Broken pieces of rock, within one cold, and hard rock of others. And you think it is o.k. to be in this environment. There is safety, being with others, who are of the same mind set, of the same heart. Hard and cold….Brrr. Love the essence of who God is, has escaped you, because you deny God. You deny love. Or you may have stepped out in love, but got burned. Your trust was betrayed. No wonder your heart is a heart of stone. Cold. Yet God loves you, and is beckoning to you. He is calling you. Knocking on the door of your heart. And says….BEHOLD I STAND AT THE DOOR, AND KNOCK: IF ANY MAN HEARS MY VOICE, AND OPENS THE DOOR, I WILL COME IN TO HIM, AND WILL SUP WITH HIM, AND HE WITH ME. Revelation 3:20. Have you ever seen the beautiful pictures where Jesus, is knocking on the door? Have you ever noticed, there is no door knob, on the side of where He is knocking? The reason, is because the door knob is on your side, you have to open the door. But you have to see God, and His truth. By Jesus Christ. For your Salvation. This is truth, do you deny Gods word as truth? If so you are in a very dangerous place…..It can come from being unforgiving, or judgement, or even from jealousy….so many spiritual sins, that can come into place. 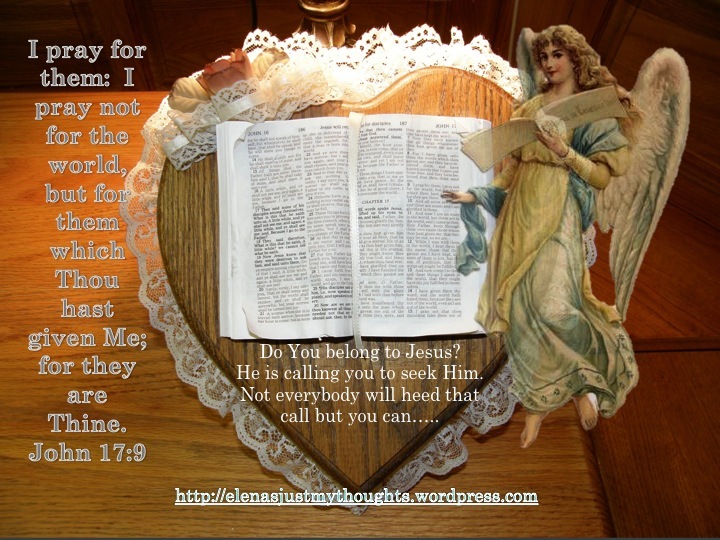 If the blood of Jesus, is not pumping your heart…. 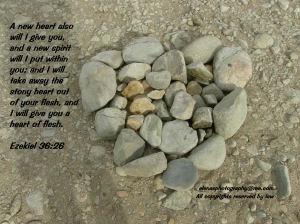 The thing I think about though, having a stone heart, can come to anyone. Even someone who has known Christ. Or someone, who has denied him. This hardness, can creep in, slowly, so we really have to be careful, we do not give place to this dilemma, and watch it, and if we can with Gods grace change it. As I think of rocks, and the biggest, rock, ever, described in the Bible. I think of the rock, that was put over the tomb of Jesus, after He suffered, for our sins, took each stripe, for our healing, was spit on, mocked, and laughed at, and yet he went on that cross for each one of us. And gave of his life, for us. For God loved us so much, he sent Christ, that whoever would believe, would have everlasting life. John 3:16. And the devil, laughed, and thought that was the end of that. Not knowing, God would raise Christ up on the third, day, and he would arise. Removing that rock, removing that big, boulder, of a stone, out of the way. So people, like you and me, could see his power. His love. So, we could see he took the keys from hell. From the devil himself, so that if we accept Christ, his love would keep us from that pit of hell itself. There is a key…. Dear one, I don’t know you, I don’t know why your heart is so hard, and as I write this, I cry for your soul. I cry, for you to see, how much God loves you. You see, I understand in part, how one can harden their heart. From a believer, to a non-believer. If we are not careful, we can harden our hearts. We can miss the love, we can miss the joy from knowing God. From knowing his love. 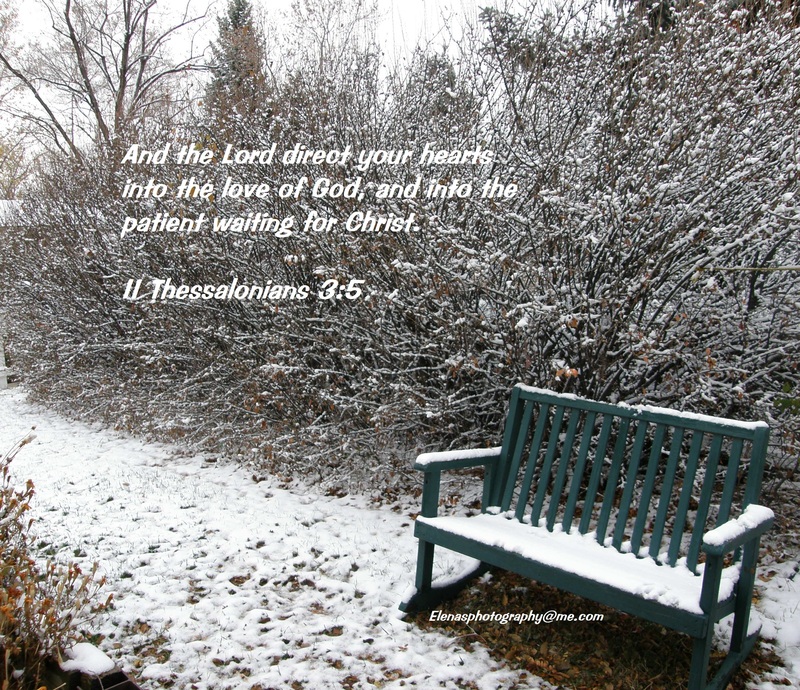 God beckons to you, and tells you, I can give you a new heart. Ezekiel 36:26 A NEW HEART ALSO WILL I GIVE YOU, AND A NEW SPIRIT WILL I PUT WITHIN YOU: AND I WILL TAKE AWAY THE STONY HEART OUT OF YOUR FLESH, AND I WILL GIVE YOU AN HEART OF FLESH. I remember, when God spoke that to me. Now mind you, I was already a Christian, in fact for many years. But, my heart was getting stony, it was getting stoic, disillusioned, angry, because my heart desires, were not being fulfilled. In the sense, I was serving God, in my writing, with my Prayers of Hope, and my gifts and calling. But, I was not seeing fruit. Spiritual fruit, or even financial fruit. I was getting angry, and my heart was getting indifferent. But one day on a beach, in Florida, and see the link below, for it is a testimony, but I found a cross, that just came to me, on a vacation, from the Atlantic ocean. And also there, I found a heart, a white heart. A white rock, shaped, in a heart. And the Lord spoke to me, and said, the best, he had ever given us, was the cross, and he told me, I will take your “stony” heart away. Ever since then, my perspective has changed, in the sense, I realize, we can put things, in the place of our relationship with God as a substitute. It could be people, the actual hearts desire, or idols, money, drugs etc. My perspective has changed so much, that I know, that I know, God is a loving, kind, merciful God, who will give us many chances, but we have to make the choice. Love is a choice. I have learned, love, is the key, to the foundation of who we can be. Now that I serve God with a different mindset, of who he is, and that even if he does, or does not bless me in this, I will not harden my heart, toward him, or others. I serve him, and want to please him, being obedient, being with him, because of his love. With every ounce of my being. I hold onto that. I have a heart, of flesh, because I love him. Being desensitized, hardening our hearts, not caring, can come in different forms, and I just pray, that whoever you are, that you let the love of God, soften your heart, and give you a new heart. You will never regret it. I know, I don’t. For he took my stony heart, my brokenness, my broken dreams, and aspirations, and he has given me love. And this is also in a different situation, for he brought my dear husband. And my son. He has brought me love, in the form of a family. He has given me his love, to replace, that hardness. Even the fear. The greatest stone removal he took from my heart, was when I realized, his love, moved that big stone from his tomb. For me, and for you. So we can have hope, we can know, by his promises, we can have life, here better, and life eternal. For life, and life abundantly…a new heart, to love. To live, in his love. But I have to make the connection, I have to make the choice, as it always it is, it is a choice. To be Love, like He is requires, that I am being obedient to God, loving others, even loving yourself. And, that comes from God only, for He is love. It comes seeing, the cross and understanding this great love. That God loves you and me. When you see that, the stoic~ness, of your heart, has been taken away, and now what beats is a heart, of his spirit, and his love. You get encouraged, you get hope, and you see life differently. Each breath, of life, you realize is a gift from God. Take it to heart, to soften your heart. 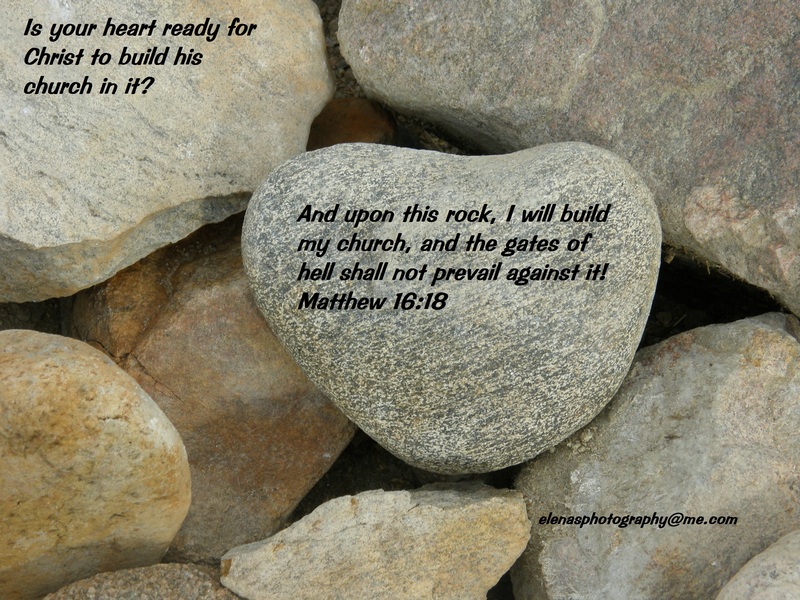 Let Gods love in….Let him build his church in your heart. The gates of hell will not prevail against it! Just go to him now, repent, kneel before him, in love. Let the tears come if they must. As they should, and let him cleanse you by his holy spirit. Get into his word, know the covenant you have with him, the conditions by his grace, and the conditions, of being obedient, and your heart will be a heart of flesh, that beats for him.